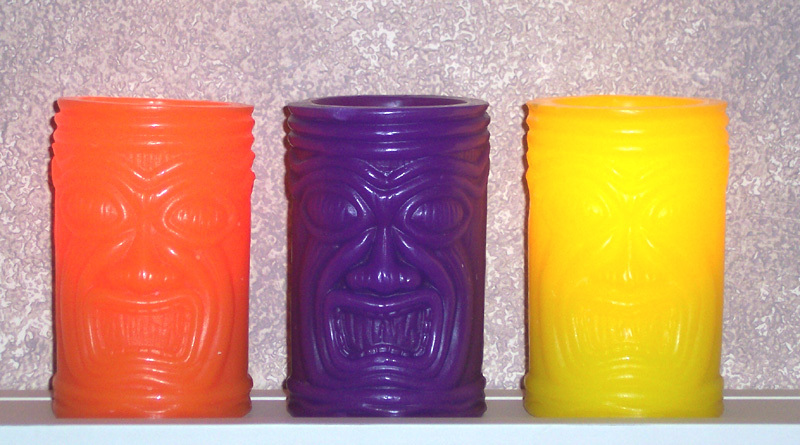 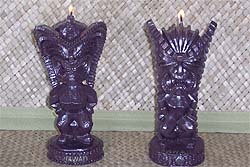 Our Glowing Tiki Candles produce an effect similar to sticking a flashlight in your mouth... Approx. 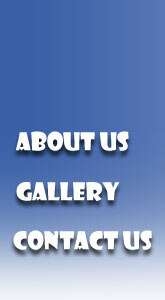 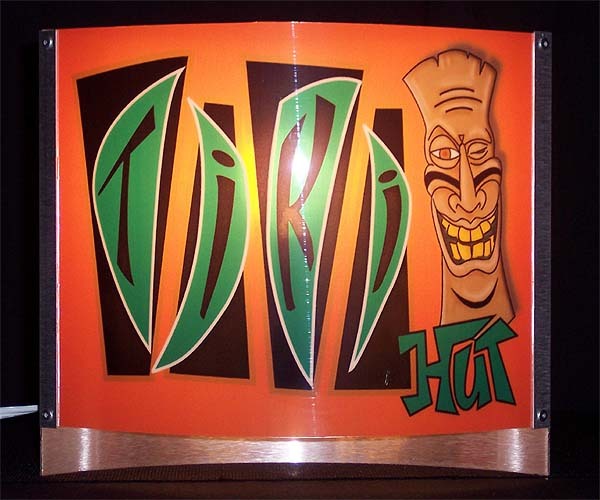 5-1/2"H, Image on 2 sides, Assorted (yellow, purple, orange), Colors randomly selected. 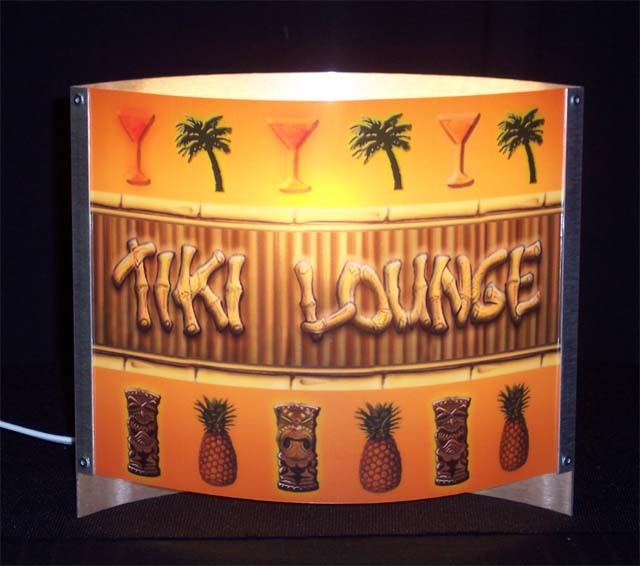 For your end table or bar, this table light adds the prefect lounge light touch. 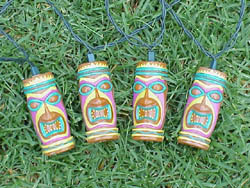 These Tiki God party lights are a perfect accent to your luau! 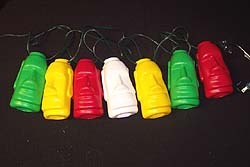 The lantern covers come in teal, yellow, white and red. 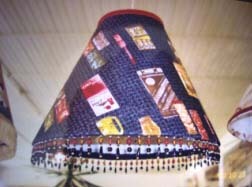 The strand is 13', 7 lights, end to end connection. 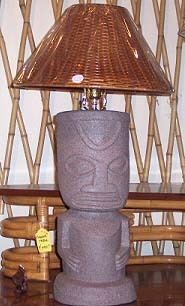 Item currently not available. 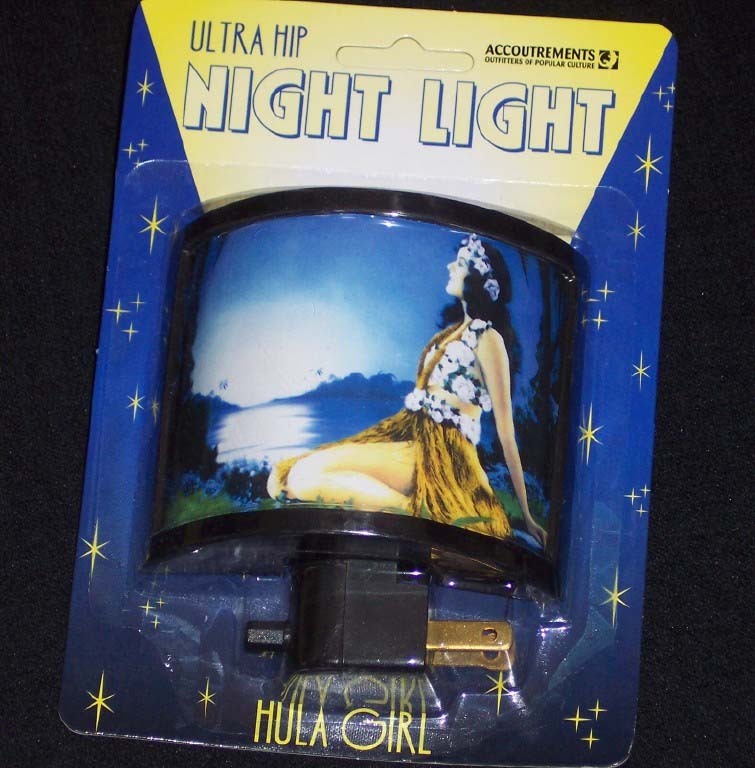 On back order. 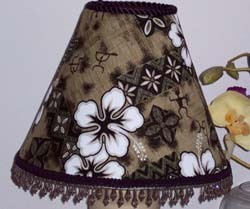 Hibiscus print lampshade, w/ beaded fringe. 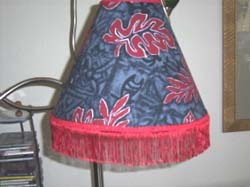 (As available). 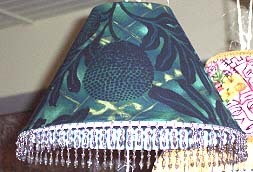 Green fern lampshade, w/ beaded fringe. Bulb clamp-on (As available). 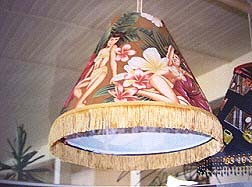 Bathing Beauties lampshade, w/ gold fringe. 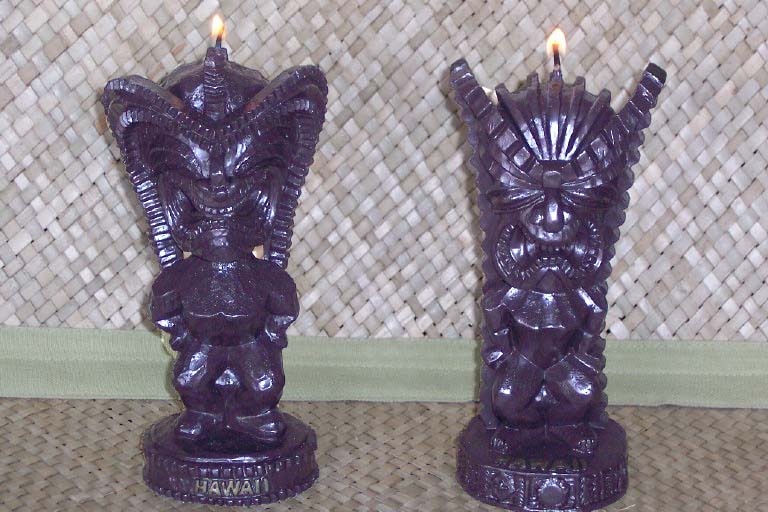 (As available). 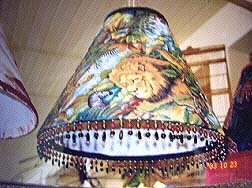 Jungle lampshade, w/ beaded. 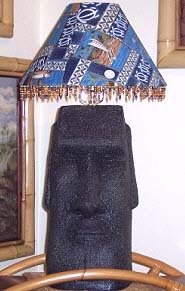 fringe (As available). 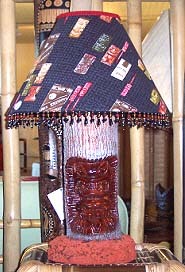 Tiki Time lampshade, w/ beaded fringe. 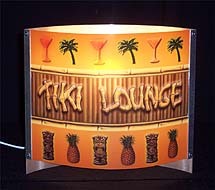 (As available). 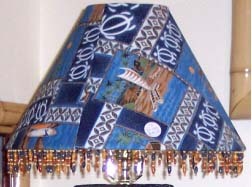 Surfs up lampshade, w/ beaded fringe.